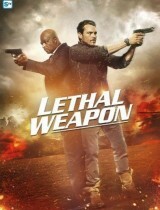 The plot of the action drama series Lethal Weapon revolves around the former Navy SEAL Martin Riggs, who has recently suffered a cruel fate: the loss of his family. He is devastated and depressed by the things he had to go through over the course of his life and finds the cure for his pain in alcohol. But one day he finally decides to make a fresh start in Los Angeles. As a police officer, he wants to ensure law and justice in the City of Angels – and gets a new partner detective Roger Murtaugh. He starts working with him despite the fact that he doesn’t fully get along with his new colleague. Only with time, the two become a good team and begin to solve numerous cases.